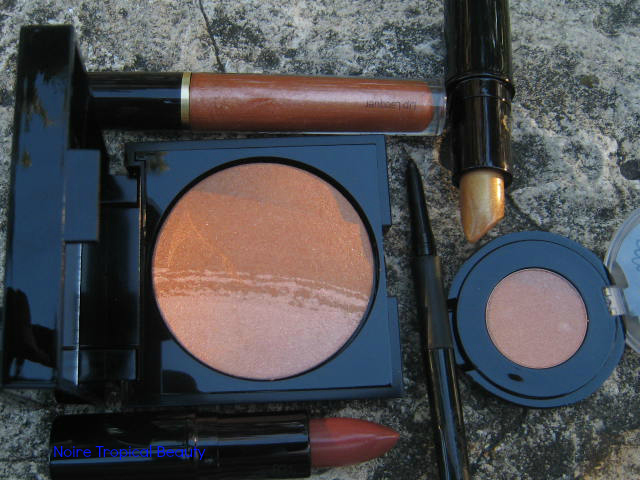 Transition into autumn with Senna Cosmetics! The weather is already cold here and I am already thinking of all the Starbucks Pumpkin Spice Lattes that I will imbibe! But just because makeup colours are getting darker does not mean that you have to abandon your summer shades. I love incorporating bright, intense colours in my smokier looks. This is Senna Cosmetics Summer Collection. While this works better with medium to darker skintones. These were both really nice collections but there were a few standouts that I wore throughout the summer and I fully intend to continue to use. 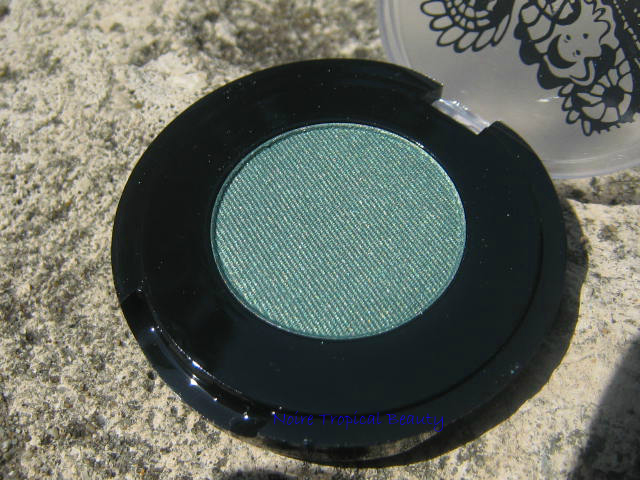 First is the Emerald Glow Eye Color, which is a medium green that leans on the blue side. Emerald is the Pantone Colour of the Year so, find every excuse to wear it! 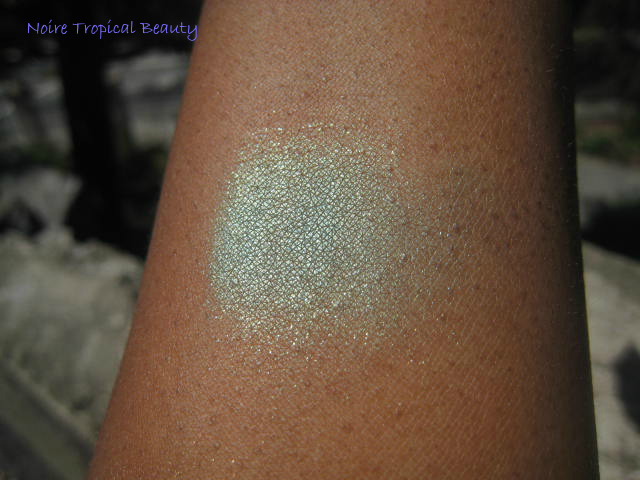 It has a decent texture with a fine shimmer mixed in. I got this fallout with this shadow (mainly the glittery bits), so use a flat eye shadow brush to pack this on. 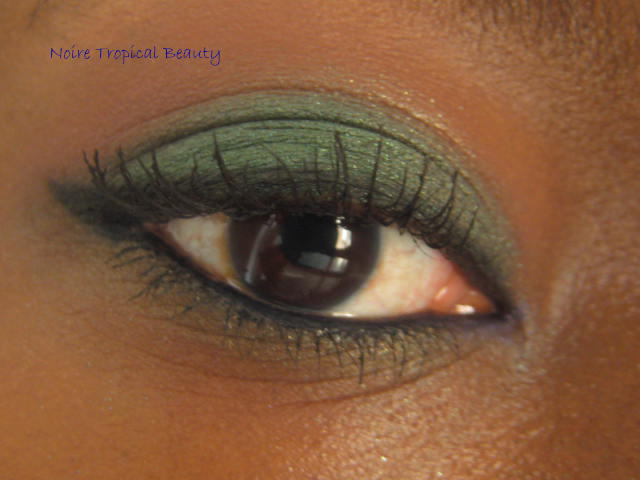 This could form the basis of a smoky eye or a multi-coloured look, similar to what I tried a few weeks ago. Here is the colour that obsessed over for the last few months! Bonfire Lip Lacquer! I was so excited with I saw the promo for this! 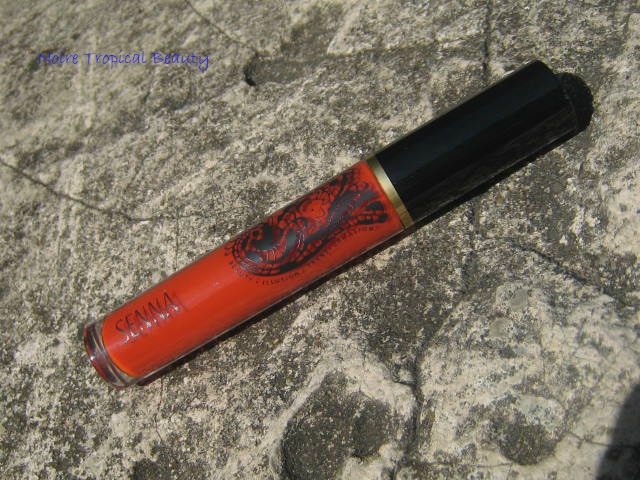 A gorgeous, bbrrriight, semi-opaque reddish-orange lip gloss! This even shows up on my pigmented lips and it’s not sticky in texture. Orange lips were big on the runway during NYFW for Spring/Summer 2014, but this would be a perfect way to incorporate the shades of falling leaves in our makeup look! Since this is such a bold colour, I would wear a neutral/flesh-toned lid, maybe a little contouring in the crease, thick winged out liner and false lashes. The Rose Gold Glow Eye Color gets an honourable mention. It’s a basic champagne shadow, with a hint of pink. Works well all over the lid. And by the way, Senna makes really, really good brushes. I’ve been using their Brow 1 brush with their Brow Shaper Duo and it’s amazing! The Sunglow Collection came with a Powder Pointer brush, which is a soft, great overall face powder brush that you can use to apply blusher or bronzer. 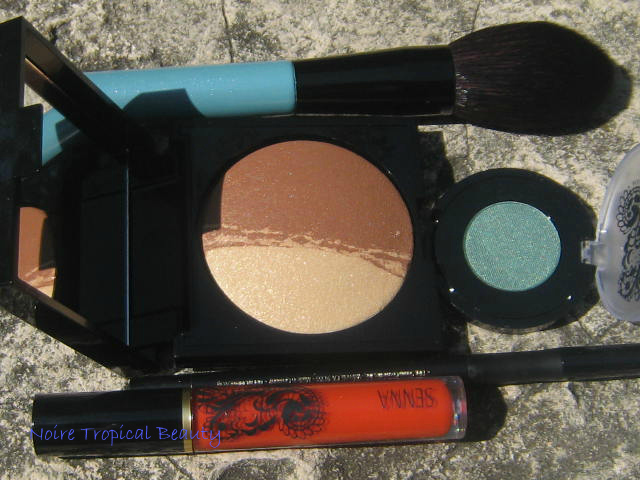 Check these products out at sennacosmetics.com and make full use of your stash!! FTC Disclosure: Products were provided by PR or brand for consideration for review. All opinions expressed are 100% honest and my own. I have not been compensated for this review. For more information, please see my Disclosure Policy. “Whey de lime” Fridays….the final summer edition!